I am a photographer based in Dublin that specialises in informal artistic family photography. I will come to your home or to location for a relaxed and fun photo shoot. Take a trip up Killiney Hill, go for a splash in Sandycove or a walk on Dun Laoghaire Pier. Pick somewhere special to you and let the kids do what kids do. The natural images that emerge are the ones that you will treasure forever. Lulu Landscape Prints. Killiney, Dalkey, Dun Laoghaire, Sandycove. Full service Photoshop. Print, canvas and photos framed at Pictorium Photoshop, Monkstown Dublin. Lulu Photography for all occasions. New Baby, Christeneing, Communion, Family Wedding Birthday Anniversary Events. I cater for all types of Events, Birthdays, Christenings, Family Reunions and many more. Call me for a complimentary consultation to discuss your event and find a bespoke package that will fit your budget and needs. 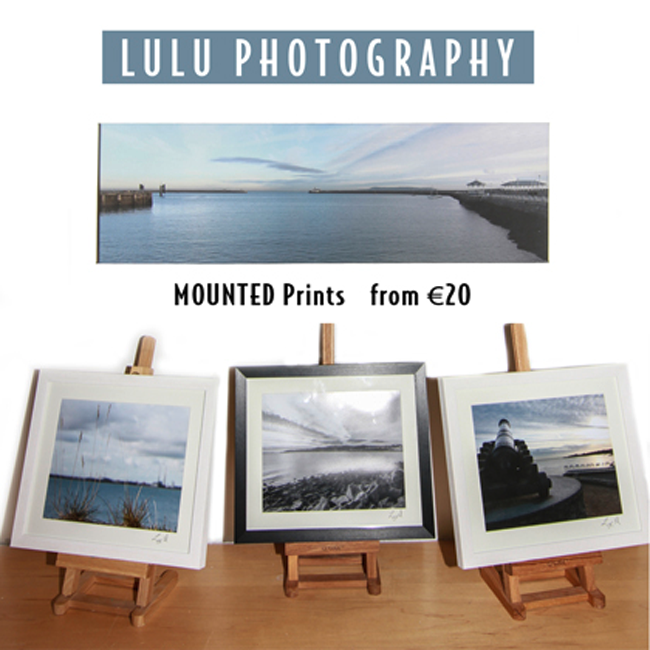 Lulu Photography is based from Pictorium’s Retail Gallery Shop which is in Monkstown, Dublin. Please click here for full contact/address details.